America: The Jesuit Review, a Catholic Jesuit magazine, didn't like what it heard during Thursday's Senate Judiciary Committee hearing. "It is time for the Kavanaugh nomination to be withdrawn," the editors wrote in a new editorial published shortly after the committee adjourned. 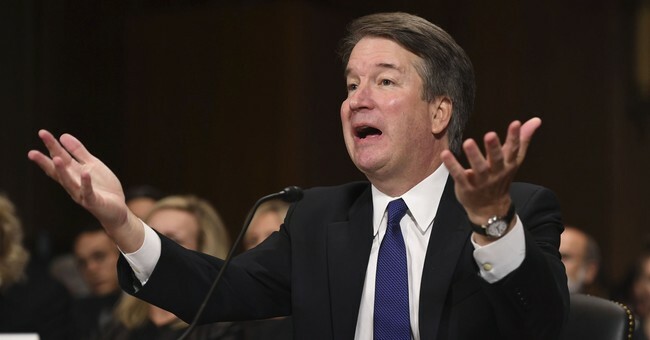 Their change of heart is notable because Kavanaugh graduated from Georgetown Prep, a Jesuit school. The editors admit they "have no special insight into who is telling the truth." Still, it appears as though they've chosen a side. If Dr. Blasey’s allegation is true, the assault and Judge Kavanaugh’s denial of it mean that he should not be seated on the U.S. Supreme Court. But even if the credibility of the allegation has not been established beyond a reasonable doubt and even if further investigation is warranted to determine its validity or clear Judge Kavanaugh’s name, we recognize that this nomination is no longer in the best interests of the country. While we previously endorsed the nomination of Judge Kavanaugh on the basis of his legal credentials and his reputation as a committed textualist, it is now clear that the nomination should be withdrawn. His nomination, they declare, has become "a referendum on how to address allegations of sexual assault." They can't help but view the nomination in light of the "Me Too" era. What is different this time is that this nomination battle is no longer purely about predicting the likely outcome of Judge Kavanaugh’s vote on the court. It now involves the symbolic meaning of his nomination and confirmation in the #MeToo era. The hearings and the committee’s deliberations are now also a bellwether of the way the country treats women when their reports of harassment, assault and abuse threaten to derail the careers of powerful men. At Thursday's hearing, Kavanaugh was a man determined to defend his honor. He vehemently denied all allegations against him, including those of Christine Blasey Ford, who had just testified before him. She accused him of sexually assaulting her in high school. She is "100 percent" certain it was Kavanaugh. He was just as certain that she has the wrong guy. That may be true, but Kavanaugh bowing out of the Supreme Court running is "the best of the bad resolutions," the editors conclude.